What is an Optical Switch? 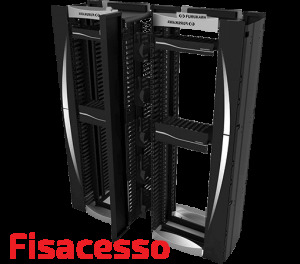 An optical switch is a multiport network bridge which connects multiple optic fibers to each other and controls data packets routing between inputs and outputs. 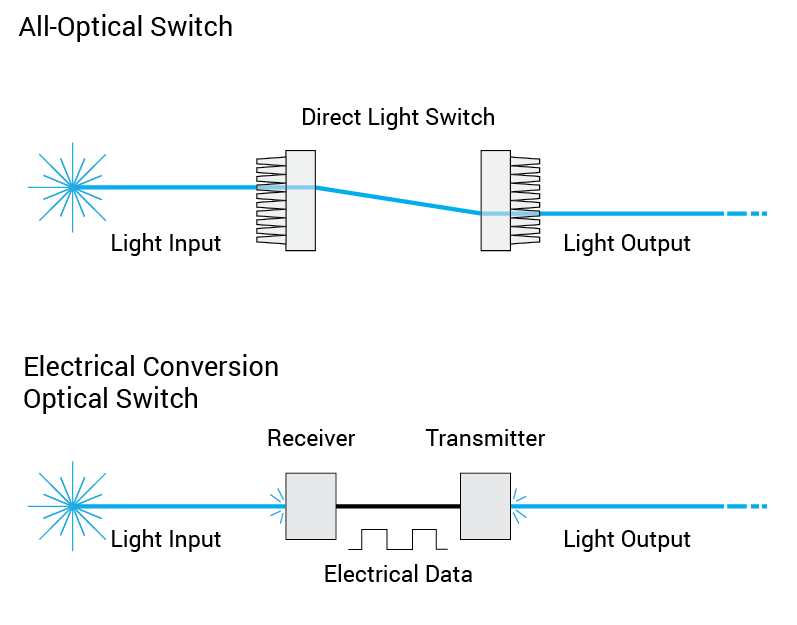 Some optical switches convert light to electrical data before forwarding it and converting it into a light signal again. Other optical switches, which are called All-optical, can route and forward the light pulses themselves without any electrical conversion. What is an All-optical switch? 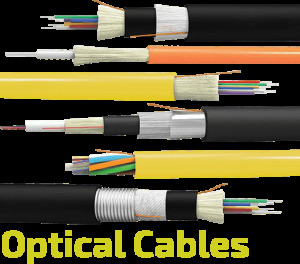 An all optical switch controls the routing between multiple optic fibers without any electrical data conversion. All-optical switches routes the entire light signal which is coming from an optical input and forward it all to an optical output without converting or altering IP level data packets. 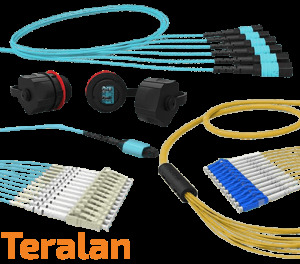 Because of not using electrical conversion, All-optical switches do not have latency, data corruption or timing jitter. What types of signals can an all-optical switch route? Any wavelength that propagates through optical fiber can be transferred and routed through an all-optic switch, including Single mode signals with 1260-1675 nm wavelength and Multimode signals with 850 and 1300 nm wavelength. 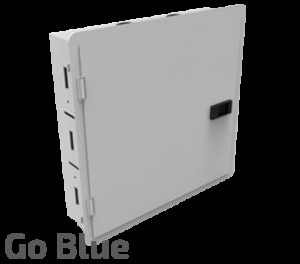 No data conversion routing method allows all-optic switches to transfer data in any rate and in any format, all-optic switches can route video, audio, data and optical sensor signals, with 400 Gbps+ bandwidth. 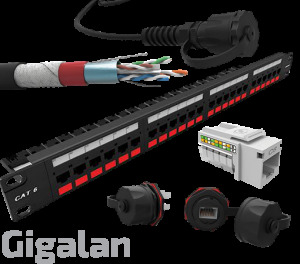 Using fiber switches has many benefits over conventional copper switches. 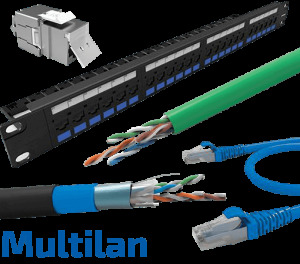 The fiber layer which is used in optical switches is mostly static. 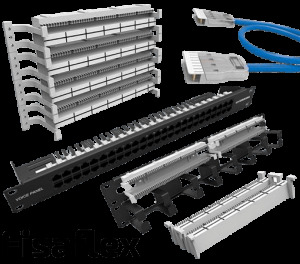 This means that optic switch cabling needs to be done only once and can be reconfigured remotely without the need for patching or manual intervention. 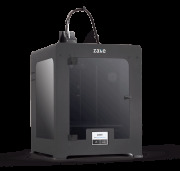 Optical switches reduce cost, power usage, and electrical conversion delays which create transparent paths with near zero latency. 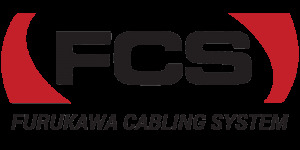 In addition, because fiber optic switching uses management software, it maintains an inventory of cross-connects routing. Huber Suner Polatis optical switches are advanced all-optical switches with non-block direct light signal transfer; in addition, Polatis optical switches support SDNs and NETCONF remote control interfaces. 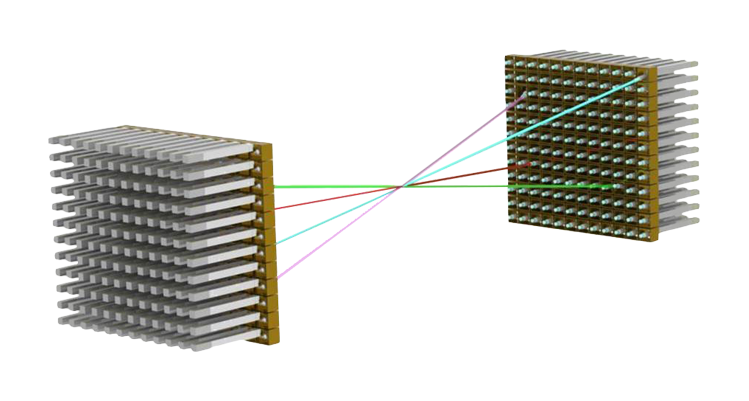 DirectLight® optical switch technology transfers light signals directly without using micromirror arrays, which results in ultra-low insertion loss and extremely high performance. DirectLight® optical beam steering technology uses integral position sensors and creates a fully transparent and bi-directional path which is suitable for Single-mode and multimode signals at any light level. 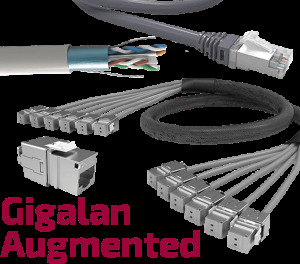 Polatis optical switch software architecture supports multiple user interfaces for diverse applications. Polatis switch network management have an embedded OpenFlow 1.4 agent which enables hybrid optical circuit and packet switch control panels. 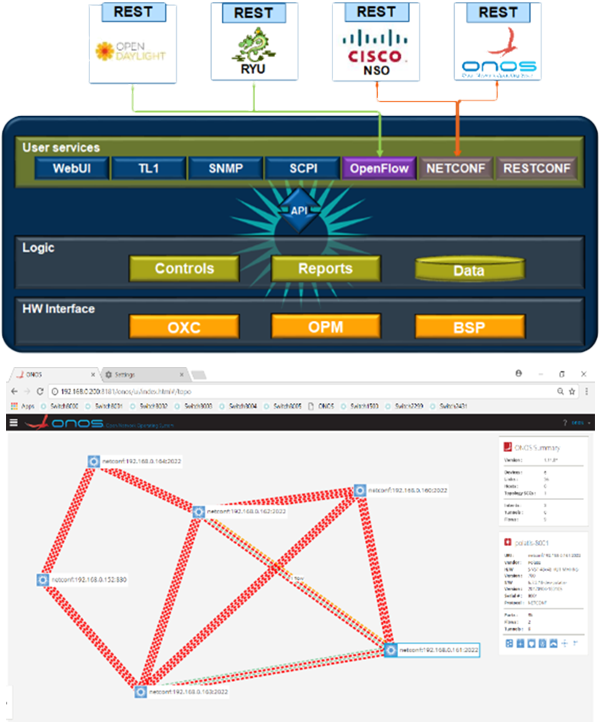 Polatis optical switches uses NETCONF & RESTCONF interfaces which are defined by Polatis YANG models, and Polatis network management is integrated with customer SDN controllers including ONOS and Cisco NSO.